Explore caves, enjoy nighttime fishing and run safely using this powerful and lightweight Princeton Tec Quad Lead industrial head torch. Offering 4 modes and up to 78 lumens of light, this durable headlamp with O-ring seal will be a great companion during the most epic adventures and features 4 Ultrabright regulated LEDs to illuminate even the darkest paths. A comfortable, secure fit is ensured by an adjustable strap, plus the flashlight comes with three AAA alkaline batteries. It is water-resistant up to 1 metre which makes it suitable for paddling and running on rainy days and there is a battery power meter to indicate a charge status. 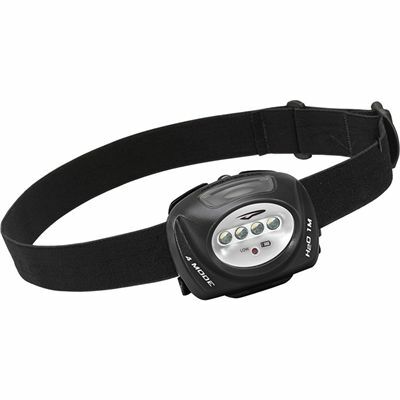 for submitting product review about Princeton Tec Quad Lead Industrial Head Torch.